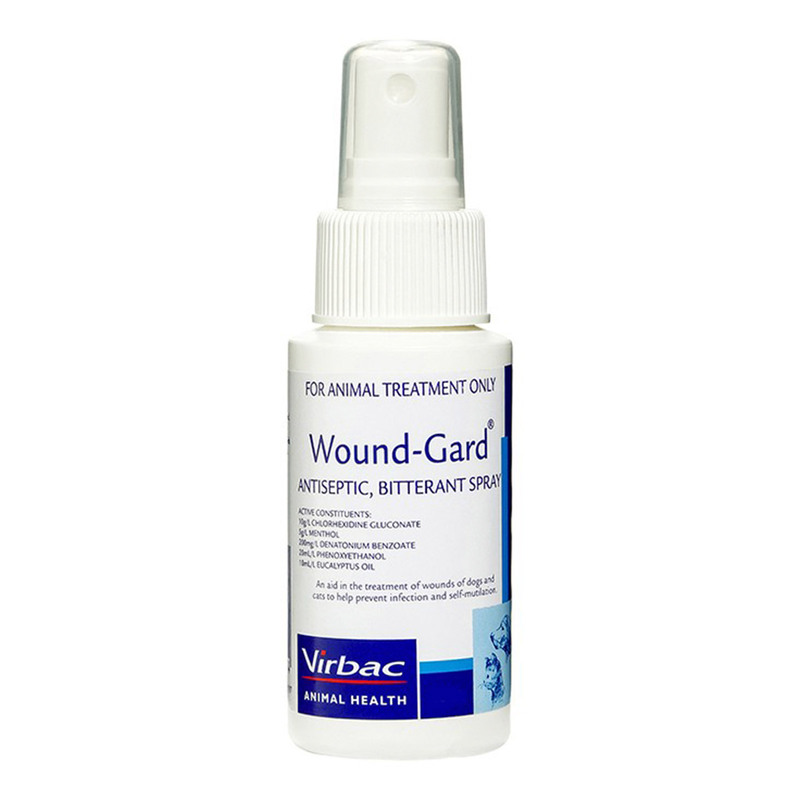 Virbac Wound-Gard is a topical antiseptic bitterant spray that can be utilized to treat all kinds of wounds encompassing post-surgical wounds. Due to the bitter taste of this spray pets get discouraged to lick, attack and damage their wound which is the general tendency of pets. With the help of this topical treatment, wounds get treated quite swiftly thereby making your pet fit and healthy in no time. Wound-Gard contains chlorhexidine which is especially effective against gram positive bacteria & also capable of killing gram negative bacteria. It also contains phenoxyethanol which is especially effective against gram negative bacteria including pseudomonas. The menthol in Wound-Gard provides antipruritic, mild local anesthetic & counter-irritant properties which prevents self-mutilation, encouraging normal wound healing. This treatment is not intended to be swallowed. If swallowed rinse the mouth properly. While first time Bonnie was injured, I applied this product and due to its fast recovery and instant relief, I am always keeping it in first aid box of Bonnie.